Show Time Or Yawn Time? Eurobike starts today or tomorrow, but whenever it really starts, it doesn't matter. The physical show has been transcended by pre-show releases in the digital realm and the slew of dealer only shows that have taken place over the Summer months. It used to be that "day one" of a trade show was a frenzied mess of news being spewed forth which, I suppose, made some brands sad. They got lot in a blast of marketing hoohah. Thus the situation we have here now where the actual show is kind of an afterthought. Well.......if you even care to think of it at all. Shimano's new S-Phyre shoes "official debut is at Eurobike, but they splashed it all over media well before hand. 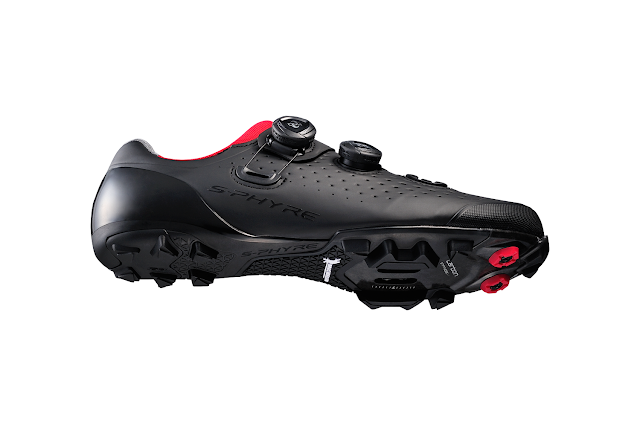 Products like Shimano's newset shoes for road and mtb racing were launched via Shimano's own website and all over cycling media yesterday, despite Shimano saying that the shoes "official debut" was to be at Eurobike. So what? Who cares anymore where your "official debut" is at physically? The news is stone cold by the time Eurobike's doors swing open. 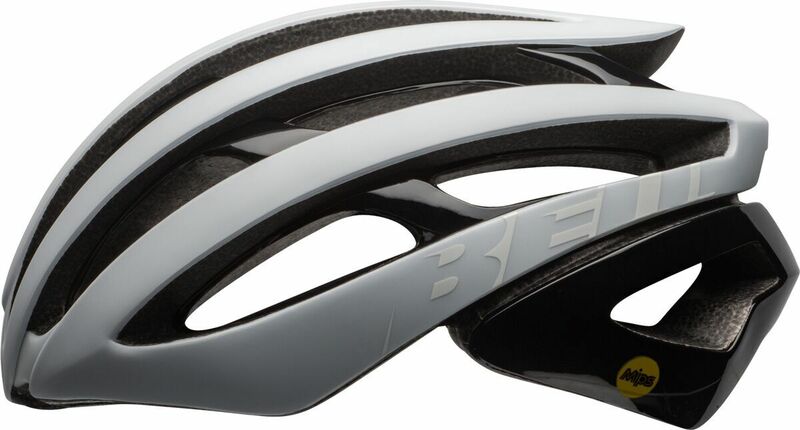 The Bell Zephyr Ghost helmet is reflective at night, had MIPS built in, and features a two way adjustable cradle. Shimano isn't the only one doing this. It is almost any company with a new marketing angle or product to sell. Bell Helmets has redone their entire line and have a new Zephyr model which is pretty cool. Yep.....officially launched at Eurobike, but is all over social media already. As is FSA's electronic gruppo, which was almost entirely develpoed via online sneak peeks for the past several months, but is "officially" being launched at Eurobike. Ho hum or showtime? I guess when it comes right down to it, why go to the show? Save yourself the money and hassle of traveling, sit back, crack a cold one and watch it all unfold on-line. It has been doing so for a couple of months now anyway. Furthermore; much of what has been revealed has already been touched, ridden, and in some cases bought and sold through retailers. It isn't good enough anymore to get your press release off to "Bike Rumor" first so your news hits the digital airwaves first. Nope. Now you have to actually get the stuff into the hands of special media folks, and even better, certain consumers, to get a more "authentic" take on products out to the masses. To wit: QBP's Saddledrive and subsequent demos of bikes already taking place across the nation. Think about that. Those Woodsmokes and Timberjacks were not even known or whispered about just two months ago. Now you can get rider reviews and go ride one yourself, if you are lucky enough to have had a demo truck go through your area already. Several other bike companies are doing the same as well, by the way. By the time Interbike happens those bikes will have been old hat for many consumers and bike shop employees. Why even bother going to that show unless you want to demo a ride on one of those sleds. Oh.....and Outerbike. There's that too. 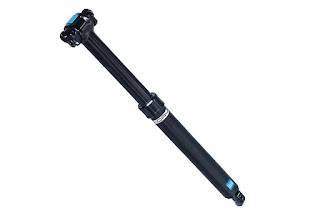 PRO, a Shimano component brand, has a new dropper post coming out soon. Now I should say a few things to bring some perspective to my rant here. First off, I've been to Interbike several times. So, I know the song and dance routine, but I also have had that privilege of attending. Maybe some folks have wished they could go sometime. I get that. It is kind of like Las Vegas for cyclists: Everyone should go at least once. "Every year, I wish for a non-fatal injury accident that prevents my attending Interbike. I hate Las Vegas and I hate trade shows generally." So, yeah.... Of course I am going to say negative things about the cycling trade shows, right? Well, I also feel strongly, even if I did like the whole deal, that the trade show format is sorely outdated. Look, it use to be an integral part of commerce for the cycling industry, and in some cases/ways, it still serves that function, but it is a way of doing things that is akin to manual typewriters and wired telephones. Yes....you can still get things done that way, but why? It's time to smell the coffee and get on with 21st Century technology and more efficient means of doing all this. I think the landscape today shows us the traditional trade show format is definitely a yawn. I have been a commuter by bicycle for.....what? Fourteen years now? Yeah, pretty close to that. So, I have got the route, the bike, the clothing, and the rest all sorted out. Not only that, but I ride all year long. That surprises some people, which by this time, I find rather strange. To my way of thinking, it is more of a "why wouldn't I ride my bicycle? ", than it is a "why would you do that?" sort of thing. Once you get the hang of it, it beats driving a car hands down. Driving to work, on the rare occasions that I have to, makes me go crazy. I hate it. Really. I hate driving to work. Maybe if I had a rad '57 Chevy, or some such car...... Nah! I'd still ride my bicycle! It's got way too many upsides to it than negatives. So, I took the time over the last year to gather a shot from- more or less- the same vantage point to illustrate how riding to work every day is a beautiful thing to me. So, there you have it. A four season view from a four season cyclist. I love riding in all four seasons. There are really fun things about all of them, along with challenges, which are fun to figure out and overcome. Mostly, I like the mind clearing, centering facet of commuting by bicycle. It is addictive and now I wouldn't live without it. Get out of that metal and plastic rat cage and clear your mind of that road rage. Commute by bicycle y'all! You just never know what you'll find out there! One group of tires tested, then another group comes in. Time for the ol' tire switcheroo. I seem to do this about every three months or so, I think. Maybe more often sometimes. I just finished up on the Riddler 37mm tires. I really liked them. They are a good gravel road tire that isn't too big, but is just big enough. You can really cover a lot of different types of terrain with a 36mm-42mm tire. Well, as long as it has a good design for the tread and is made well. I think if you are looking at tires in this size range, the quality casings are a must. You are milking every bit of performance out of a tire like this, so it has to be a well made tire, or you will get short changed. The WTB Riddler 37mm tire is just such a tire. I kind of get bummed out when I have to peel off a set of tires like the Riddlers to set up anther review tire, but with the tires most companies are putting out there now, it just is a different flavor, and not a real big let down. That said, I liked the design of the Riddlers a lot. I think the design is really a good way to tackle a gravel road tire deign. Smooth in the center to promote fast rolling and easy accelerations, and lateral knobs to allow for stability. This with a flattish profile is the winning combination, as far as I can see. 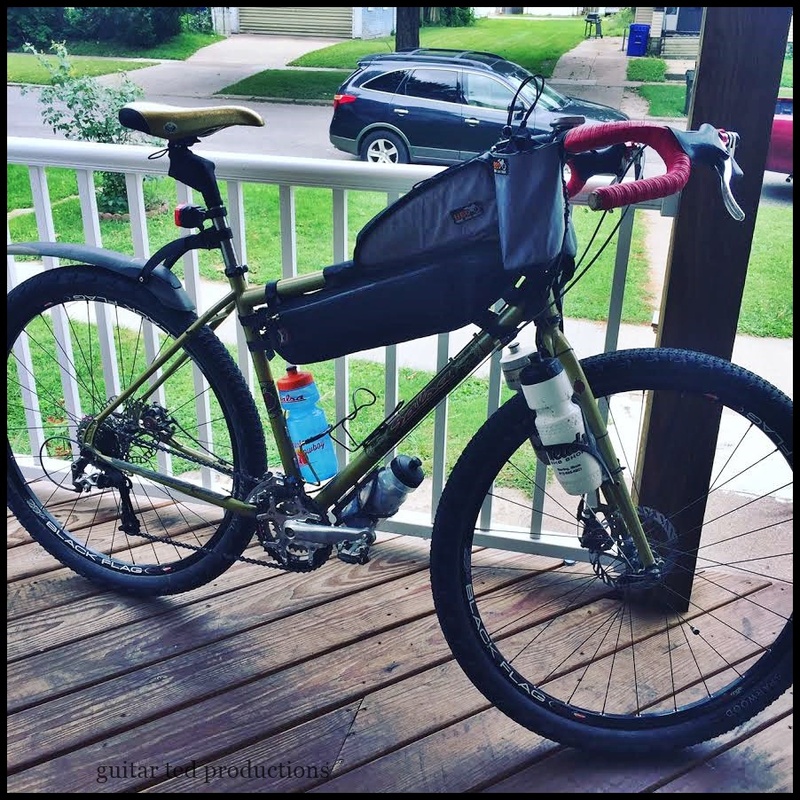 I thought that this might be the case and when I rode the Challenge Gravel Grinder, I found out it really works. Peaked crown tires, or very rounded ones, are the absolute worst on gravel. They plow, have no lateral stability, and generally ride poorly on gravel. New tires means more switching around. Well, however that works out for me with older tires, it all gets thrown out the window when a new set shows up. Peel off. Remount. More sealant. The same ol' song and dance again. Then it is getting used to the new treads. What do they do well, what do they do poorly, and how do they ride? So much to pay attention to. The funny thing is that tires are a really big deal, and can be one of the most controversial components that one uses on a bicycle. I have used so many different tires on the Black Mountain Cycles Cross bike, (Orange Crush), that I can tell you that tires can make or break a bike. I've used absolutely horrible tires on that bike, (Vee Rubber models of some sort), which made the bike terrifying to ride, and have used tires which made the bike a dream to ride. Same bike, different tires, way different results. So, yeah.......tires are a really big deal. That is why I like trying out different tires, why I like thinking about them, and it is one of the reasons I like riding bicycles. Tires can really affect your enjoyment of bikes. Not to mention tire pressures, which is an entirely different subject and deserves its own post. You can ruin good tires with wrong air pressures. That's all I'll say about that right now. So, anyway, I am not complaining at all when I have to do the ol' tire switcheroo. It's just a part of what I do and I find it pretty interesting. 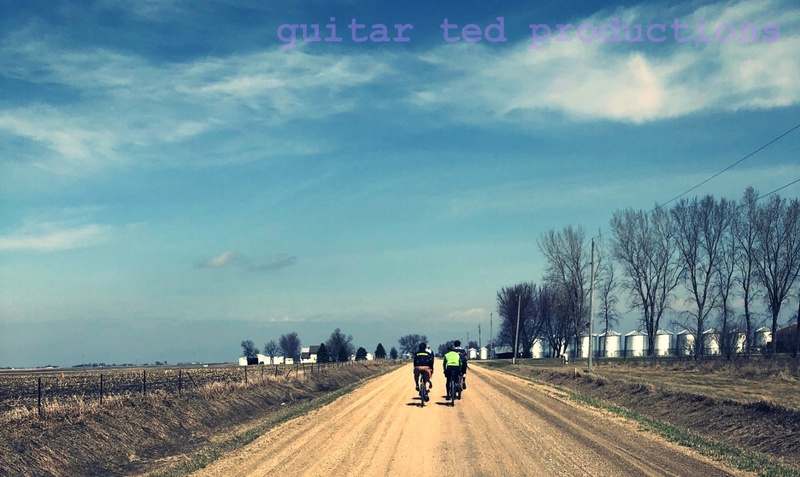 Ten years ago on the blog I was happy to announce that the first Guitar Ted Death Ride Invitational had been a rousing success. 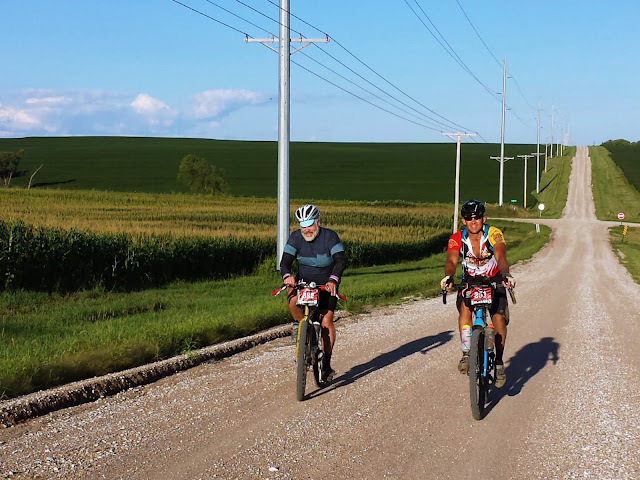 It featured a wrong turn that made it 152 miles and was therefore the longest ride I had ever done previous or since that time up until the 2015 Dirty Kanza 200 when I made it 154 miles. "Unofficially" that first Death Ride was still my longest ever single day ride but I did not count the ride to the start nor the miles to home from the finish. I figure it is still the longest ride I ever have done because it is approximately 5 plus miles to the old starting place one way. I figure I did about 162 plus that day. But I'll never really know for sure. The best part? I did that ride on my single speed Karate Monkey. So, in "official terms", my longest ride ever is the 2015 DK200, then the first Death Ride, then last weekend's Gravel Worlds at 145 miles. Pretty good for this old man, but I can do better! 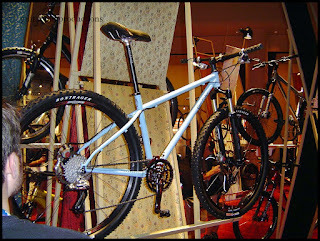 There was some banter about 29"er stuff on the blog ten years ago that I posted on, but the "big" news was trek World where we got a sneak peek at the 2007 line up from Gary Fisher Bikes, (Remember- only Fisher had 29"ers then. There were no trek 29"ers) There were a lot of cool bikes added to the line up for '07, as the 29"er revolution started gaining ground about this time. The frame I was most smitten with, and surprised by, was the Ferrous. It was a "production custom bike". The detail on the frame was amazing. Everywhere you looked it had some cool little tacked on applique, decal, or feature that was like something from a small custom builder. Not a "big" corporate entity like Trek/Fisher. Not only that, but it had a full drive train! It wasn't just another single speed. Although, it had an eccentric bottom bracket so you could single speed the bike. Triple ring cranks. remember those? I wanted one, but I had so many things in the hopper at the time I just couldn't justify getting one. A friend of mine did, and it was quickly discovered by him, and almost every other Ferrous owner, that the bowed out seat stays would catch your heels. Worse, several of these ended up braeking. The Ferrous was a one year model. Makes you wonder if there are any left sitting around in garages out there anywhere. This post will detail my nutrition and a word or three about gear that I haven't already said much about. The "WW4M" in the title stands for "What Works For Me". This should point out to you that what I am about to detail here may not work for you or anyone else. However; I hope that these ideas might help out someone reading to fine tune their own endurance riding nutrition strategy. 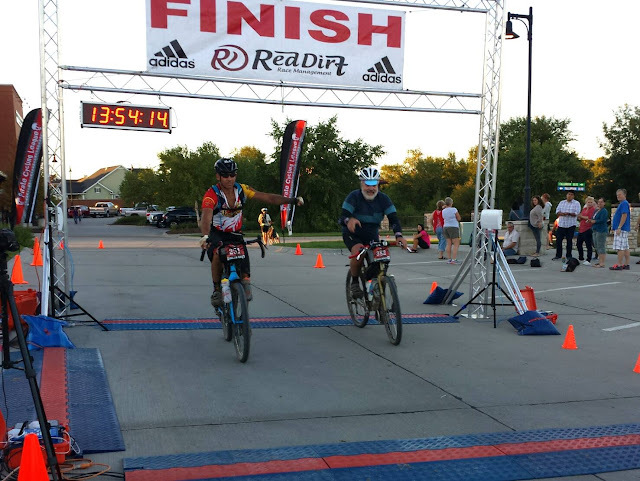 On The Bike Food: If you have been reading along here this Summer you already know that I battled a stomach shut down during my Guitar Ted Death Ride Invitational attempt and that I had to stop after a little over 109 miles. Well, I tracked that back to a heavy amount of sugary processed food in the form of a cookie sandwich I ate earlier in the day. I decided after that I wasn't going to utilize any processed sugary crapola like Gatorade or foods from convenience stores in my nutritional strategies for Gravel Worlds. Fortunately, my friend Tony had shared with me several times about some items he relied upon. So, I decided to follow suit. I obviously was witnessing what it was doing and it was working for him. I did not know if it would work for me at all, and Gravel Worlds was my test ground. I didn't try some of this before at all, and none of it while riding a bike. Dumb? Maybe. Maybe I got away with it because I didn't know I shouldn't! But I think in reality it was more that I had seen the results with Tony and figured I could benefit as well. Flattened Bananas- This actually was a suggestion by a Trans Iowa rider that wasn't able to process any convenience store fare and rode in T.I.v12 on these. They are a Trader Joe's item, and he sent me a couple packages of the stuff after T.I.v12. I opened one package and used food scissors to cut the flattened mass into ribbons and then placed those into sandwich bags for easy on bike eating. Justin's Almond Butter packets- I found these at a local grocer's natural food aisle and Tony is a big fan of these. 190 calories in each packet. They can be a bit hard to consume because unless you kneed them up inside the packet before opening one they can be a bit dry and thick on one end where the oils separate out from the solids. Make sure you down this with water! But other than that, they work. Not the most pleasant deal, but not terrible either. Epic Bison and Uncured Bacon meat bars- These are a natural foods aisle score and another thing Tony uses.Not easy to rip open the original packaging while riding, so you may want to pre-open these or better yet, repackage them. This is a form of pemmican, which Native Americans used as an energy source. 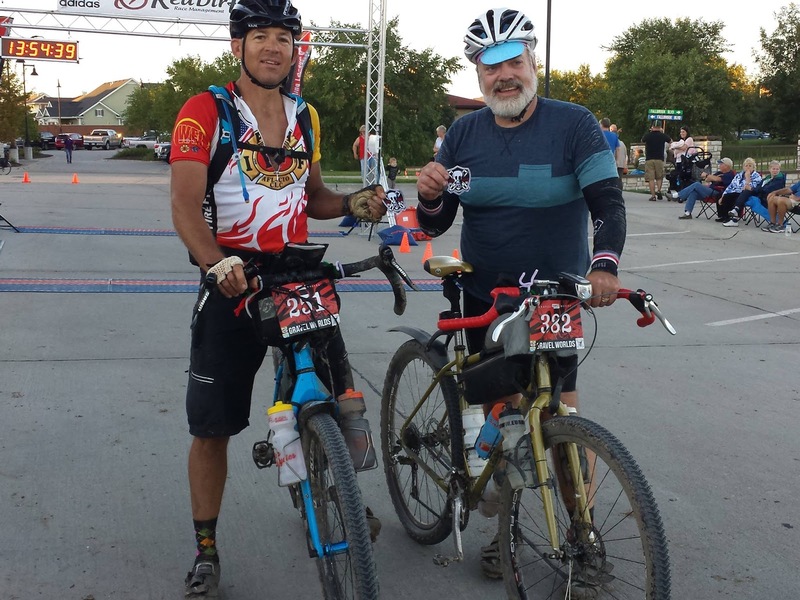 Elete electrolytic add in- I have been a fan of Elete for over a decade now after learning about it from my former co-worker and 24 hour solo racer, Jeff Kerkove. This is a clear-ish liquid that you mix in with water and it keeps your electrolytes in balance. I've never cramped while using this, and it is super easy to pack along and to administer to your water as you are on a ride. 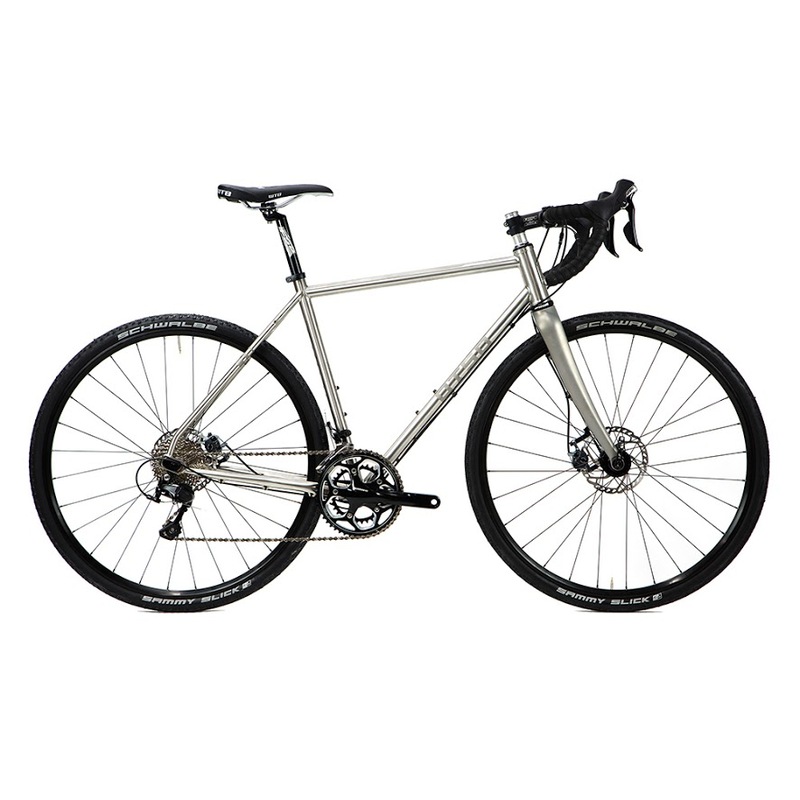 The Gear: I won't go on about the Fargo, but I did pick the bike due to the Luxy Bar and my left shoulder issue. I also had the Revelate Tangle Bag, (an old, outdated version)on the bike which held some maintenance items if needed and a rain/wind breaker in case the weather went sour or if I had to ride after dark. An old Velocity aluminum water bottle cage, (made in Australia), allowed for a lowered water bottle position due to the design of the cage, which can be adjusted. I was able to pack four large water bottles due to this. The bottle under the down tube carried repair bits, tools, tire levers, a roll of black electrical tape, and a chain tool. I used a Trelock 950 headlight, a Grateful Red Planet Bike tail light, and Bike Bag Dude Chaff Bags and Garage Bag for storing food, a few more tools, and my cameras. Shifters are Gevenalle with 9 speed Ultegra levers. Long pull levers close up ancient Avid BB-7 calipers on a front Avid rotor and a rear Ashima rotor. Tires and wheels are the same I've had since the Kanza ride. Teravail Sparwoods and Sun-Ringle' Black Flags. The Sparwoods were a mixed bag at Gravel Worlds. There was good and bad things, but I am still not impressed enough to keep them on for anything other than hard, solid based or sandy conditions where they seem to excel. The one item which I felt was well worth its price, for my ride anyway, was the Cirrus Cycles Body Float seat post. It is a sprung post which is designed to take the edge off bumps and absorb the smaller chatter. It does that so seamlessly when set up properly that I don't even notice it. However; I did notice that I didn't have any issues with washboard surfaces out there. Let me tell you- there was a LOT of washboard out on that course. Many riders were getting jostled around and losing speed when they hit this but I could keep pedaling uninterrupted and not lose speed. I noted this several times during the day. In fact, so did other riders. I heard several comments from other riders on how active the post was as they passed me. Conclusions: The new nutritional idea was a grand slam. No issues with fueling at all, with the exception of one element. That would be my falling asleep/battling sleep issues. I was noting that soda pop seemed to kill this issue. Coke, regular grocery store lime soda, regular grocery store cola, it didn't seem to matter. I suspect it was the kind of sugar that I was getting versus what kind of soda it was. Hmm.... Going to have to work on that part. There were two other things I ate outside of the basic plan. Beef jerky and one gel that was chocolate and had caffeine, which I was trying as a "wake me up" gel. I cannot recall if it worked though! Ha! That said, I am trying to keep what works here and I will test this out on my next long ride which I hope to do just for fun soon. On the gear side the wool jersey, base layer, Louis Garneau bibs, and my new, gifted to me Omaha Jackrabbit Hundy hat made by Walz, (Thanks Scott Redd!!) were all flawless. Interesting factoid- I didn't like wearing sun glasses that day. Something about it pestered me in the wrong way, so I ditched them for most of the ride. The Gen I Fargo? Well, no words need to be said there. The Body Float post was awesome. I am super happy I used it. Okay, any questions? Feel free to hit me up with those in the comments or via e-mail. Okay, so we had a customer buy the newest Trek Domane Disc "something number-something or another" (Trek has 31 different Domane models, so maybe you could see why it is I cannot recall the exact numeral/digital moniker for the one I saw in the shop.) Anyway, once again I say it- this is darn near the perfect gravel road bike. 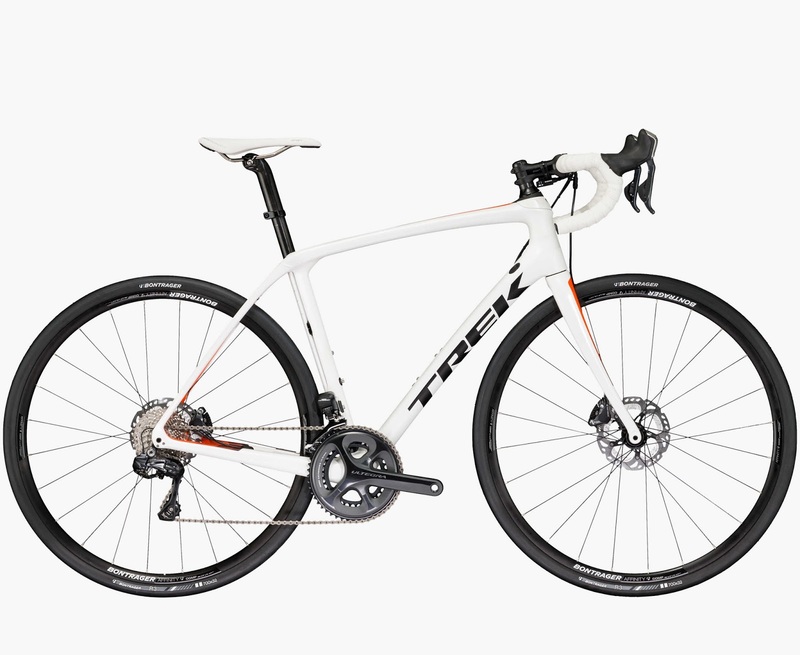 In terms of bottom bracket drop, head tube angle, front/center dimensions, and of course, the ISO Speed decouplers front and rear, this bike nearly tics all the boxes and some that you don't even know that you need. However; there are one or two major modifications necessary before I would sign off on a Domane for my personal gravel grinding pleasure. One would be tire clearances. The new Domane Disc is oh-so-close in that area. The stock bike comes out of the box with 32mm slicks with room to spare. we were looking at this at the shop and figured it might clear 35's on a nominally wide road rim set up tubeless. But barely so, if it does. That's not going to cut it. We need room for at least 40's. I think Trek can do this easily. A somewhat horse shoe shaped piece of steel, or titanium could be fashioned and slightly recessed into the inside facing area of each chain stay, and bridging across at the bottom bracket, to keep mud from grinding holes in the area between the tire and chain stay. You could even do the same thing underneath a fork crown, but that is a less susceptible area, I think. Anyway, this piece could be anchored in with a few small screws and could be removed for cleaning, replacement, or might even serve as a "window" of sorts to ease internal cable routing of hydraulic brake lines and shifting cables, for instance. The weight added would be minimal and the case for ground through chain stays would be closed. A week ago I updated y'all on the Geezer Ride route, and gave you the date, which is September 17th. We will likely start at 8:00-ish from Gateway Park in Cedar Falls, Iowa. There is a gravel parking lot there and it is right over the Main Street Bridge from the main highway and downtown Cedar Falls. The other news is that I have a theme for the ride and a route. It looks as though the route works out to 42 miles, four of which are on easy-peasy bike paths. Four more or so are on easy pavement. So, in total there should be only about 34 miles of actual gravel roads, and according to my best guestimates, we're looking at maybe 1200 feet of elevation gain. Not too bad, but there are a couple steeps that will test your legs. It's mainly pretty flat. What is more, I came up with a theme! I'm calling this the "Geezer Ride Tour of Country Churches ". By my count we should go right by six rural churches. Almost all of which are still working churches, by the way. We will also go by Bennington #3 School house as well. So, bring your cameras and we should have lots of photo ops. Otso is a new company out of the minds of the Wolf Tooth folk in Minnesota. Another new bicycle company? Really? Well, I think this one looks like it just might have some cool things to offer that are innovations. Otso Cycles: They are a bunch of folks that are the brains and marketing behind Wolf Tooth Components. Based up there in Minnesota, you'd expect that they would do a carbon fat bike frame, and they have. This is a bit different though. I think one of the coolest attributes of their fat bike model is the bottom bracket width. I happen to know more than a few folks cannot ride traditional 100mm bottom bracket width fat bikes because it is ergonomically unfit to do so for them. They have hip pain, knee pain, or both. Ouch! Not good. Well, this Voytek fat bike from Otso is running an 83mm bottom bracket which puts the pedals at a claimed 10mm wider than a traditional mountain bike, yet the frame clears 4.0" tires easily and up to 4.6" fat bike tires on 70mm rims. That's pretty rad. Now obviously, if you have to have the widest rims and tires for maximum flotation, this model is out. The Voytek also dances with Plus sized fare in the 27.5 and 29 flavors, if that is your jam. Cool! Obviously, it is going to be spendy, but they are claiming full builds for less than 4G. Not bad. I liked their stainless steel framed Warakin gravel/all road bike. It has some pretty trick features too, and I already wrote up that on RidingGravel.com here. 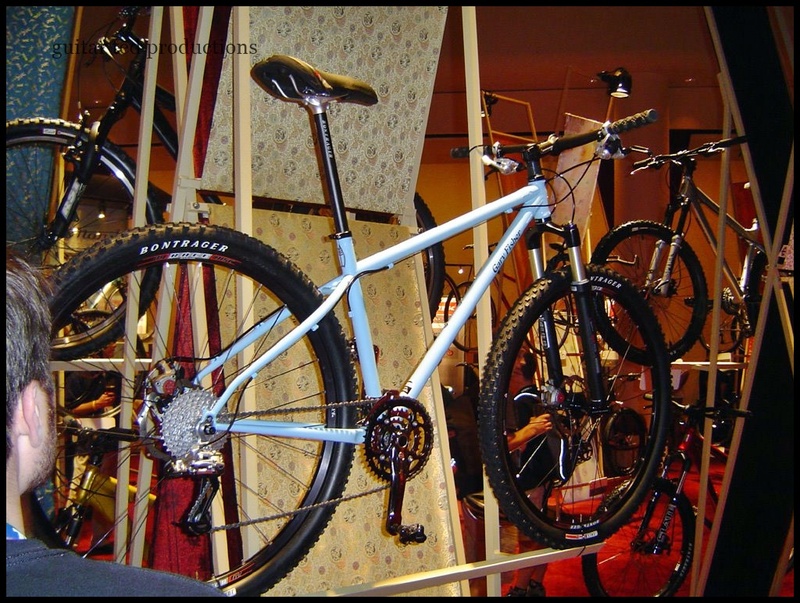 It's interesting that they hit these two models up first, as I am hearing that the big cycling trade shows are going to be loaded with adventure road this, adventure bikepacking that, and adventure whatever else they can market up a storm about. So, we will see how it goes for Otso, but the homework these models reflect is pretty stout, and I am betting these will shine a bit brighter than much of the "me too" bikes that we will see coming in the next few weeks or so. Okay, that's a wrap on this post. Have a great weekend, y'all! It was just a dang beautiful day out there. Glad I was riding. Valpraiso was a bit of an extended stop due to the backed up line in the convenience store. Another reason to stay out of those things, but I desperately needed a coke and I also grabbed some more beef jerky for good measure. Once I was good to go Tony and I left town with the hopes that the mostly Eastward run out of town would be easier. Well, it mostly was. There were a couple of zingers, but it wasn't terribly hilly like before. I mostly kept myself preoccupied with ticking off the miles and thinking that past 110 I was making the longest ride of the year so far with every pedal stroke. The next thought I had was that maybe we could beat the Sunset. I was thinking it would be close, but Tony and I were making decent time, and things were looking great to accomplish that feat. But then again, anything could have gone wrong in those last 35 miles. An untimely mechanical, a flat tire requiring an extended time to repair, or worse. This wasn't over yet. Not by a long shot. Of course, we had no idea of where the course might take us. We did know that there was one Minimum Maintenance Road coming up and that it might be a hike-a-bike section. I wasn't too worried about that since the course had full Sun most of the day and the wind would help dry things out well enough for us to ride most of that road, if not maybe all of it. At least I was hopeful that would be the case. The last checkpoint we passed was the Otto Pond farm. Black Beard Micro-Pirate stayed put during this stop. The end of the Eastward stretch was marked by the final checkpoint at Otto Pond. We got there just before 6:00pm and didn't stay long. I was working hard so I took a seat and downed a cola before remounting and heading out for the final stretch of our Gravel Worlds ride. Twenty Two miles to go, give or take a few tenths. What could go wrong? .........and he paid for it by taking half a mud bath! Well, that muddy Minimum Maintenance Road was one thing! Tony had a mind that the path looked okay to go across some short stretch of water without dismounting, but the mud was too deep. He slipped over to the left and stuck his arm out to save himself from total immersion in the muddy water, but he was half a slimy mess. I stood by and watched as he cleared away as much slime as he could before we remounted and took off again. A slight delay, but not enough to keep us from making the goal of Sunset or before. But we were going to have to hoof it double time, as fast as our legs could take us. The day was drawing to a close, the course was nearing the end, but the hills never stopped. The hills were never ending. One after another. Hats off to Schmidty for finding the roads that led right up to the very end with hill after hill. Kevin Fox appeared about 15 miles out from the finish and took a few images of us. He was encouraging us to keep at it and that I indeed would not be needing that phone number after all. Indeed. I would not be needing it at all. I've never finished one of these "big" gravel events before. Dirty Kanza has eluded me and Gravel Worlds had been unattainable. Odin's Revenge had been just too dang difficult for me to tackle and even some of my own GTDRI rides have been to tough for me to tame. But this was going to be different. Well, obviously it happened, and I was pretty dang happy about it. I'll have more about the equipment and the nutritional plan later. Thank You: Thanks to my wife, Phyllis Stevenson for letting me go on these crazy adventures. Thanks to my children, Izabel and Jacob for putting up with my being gone a weekend. Thanks to Tony McGrane for the companionship all weekend and especially for waiting for me on the hill top! Thanks to the Pirate Cycling League, Schmidty, all the volunteers and the Pirates Of The League who make this event possible. Thank you to the Schmidt's, The Brown's, Roca Tavern, The Reinkordt's, the people at the Malcom General Store, the people at the Branched Oak Farm, the town of Valpraiso, the people at Otto Pond, and the Schilling Bridge Cork & Tap House. Thank you to Kevin Fox for your inspiration, encouragement, and images. Thank you to Matt Wills for the awesome bear hug at the finish. Thank you to my Brother MG, you are awesome my friend! Love ya! To all the Lincoln folks- I love you people! You make the gravel scene what it is. Anybody that feels left out- I Thank You Too! Finally- To all the gravel riders at Gravel Worlds, I give you a tip of the cycling cap. You all are awesome folks and you make this scene what it is. Keep on doing it like this! Please! Don't ever stop. Hills, Wind, but low humidity and temperatures, which made it all tolerable. Leaving Roca I decided to hit out before my riding mates, Tony, Martin, and the others in our little loosely knit band. I figured I could set my pace while those guys would likely reel me in and pass me handily. So, off I went up the paved road out of Roca Eastward. When it came time to get back to gravel, it was right into the headwind. But you know what? I didn't think it was a thing, I just plugged along. Sure enough, within about five or six miles, Tony went by on a climb and I set to just doing my best. Somewhere in the stretch to the next checkpoint at mile 75.2, I was by myself and then I found myself going back and forth with a women who finally faded behind me for a bit. Then on a down hill into a little valley, I heard a startling sound. It had been fairly peaceful, with just the noises of gravel on my Sparwoods and the wind, but then this sound! I thought it was peacocks. They sound like girls screaming, you know. But then I heard actual words in this cacophony, and I realized it was a few women who were excited to have come across each other out on the course. Wow! Well, now that I knew what that was, I just got back to grinding. Sometimes you forget there are a lot of other people riding not far from you. As I was plugging along, I found I had come to the end of a cue sheet, and I had to swap over to the next. I was checking on a place to do this, because it takes a lot of my focus off the road and that isn't good on hills or in bad gravel and sand. So I ended up having to stop to swap the sheets quickly. When I did, I didn't see a checkpoint marked. What I didn't know was that the blank line on my page that I was looking at was where my printer decided to print white on white, so I didn't know if that was a cue I was missing or what. I wasn't worried about missing a turn, because I could see multiple tire tracks and sight riders up the road most of the time. But.......where the heck is the next checkpoint?!! At the Reinkordt Farm checkpoint. Mrs. Reinkordt is by the hayrack with the black t-shirt on. Her pickles are famous! I ended up tracking down Tony and I asked him where the next checkpoint was on the cues and he allayed my fears. So it was closer than I thought, and that was good. The Sun was out full force now and it was warm. But I was still on my schedule of nutrition and water uptake, so things were working and despite aching legs, a mind that was wanting to go to sleep, and wind, I was doing okay. The Reinkordt Farm has been a standard on the Gravel Worlds course off and on since the beginning. I love stopping here and I was glad it was a checkpoint for 2016. I have always left a bit more enriched than when I first rolled in whenever I've been there. This time was no different. Since it isn't a blog-safe story, if you ever see me, ask me about the Spanish foreign exchange student's take on the American Slang concerning the wind. It's a hoot of a story. Really. Mr. Reinkordt, if you ever read this, know that my friend Tony and I have been laughing on and off about that story ever since! It's a gravel grindin' bike, don't cha know? 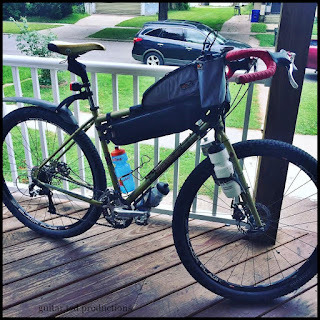 An ancient "gas pipe" tubed Schwinn converted into a single speedin' gravel mutt! We don't need no stinkin' carbon! The Black Beard Micro-Pirate says, "Onward ye scalawags! To Malcom! Leaving the Reinkordt Farm was a good time. I felt refreshed after a Lime soda which had me wide awake, and I was feeling great. Ten miles or so to Malcom, and I knew the road there well enough, having ridden it a few times. I was on fire in a good way, and my riding showed it. This was arguably the best section during Gravel Worlds for me. The Malcom General Store was an optional stop this year, but as we were all getting tired as the afternoon wore on, we kind of all made the move to park for a bit and take our ease. I decided to not buy anything here, and looking back on that decision, I probably would have gone in given a second chance. It was an issue with falling asleep and getting mentally dull that was going to rear its ugly head again, but I didn't think that was possible after staying on my scheduled nutrition plan and just having had the best ten mile stretch of the ride so far. Malcom was buzzing with riders and afterward I heard not a few who had taken sustenance at the barbecue place there and they all had declared it good eating. I don't know. Another year and I may have eaten something, but after the GTDRI debacle with eating and stomach shutdown I was loathe to get off my nutritional bandwagon, and that meant staying out of convenience/general stores with lots of things to get me sidetracked. So, I just sat on the green grassy bank opposite the general store and drank water and ate my own vittles. Martin photobombing my Malcom General Store pic. That yella bellied scalawag! The Black Beard Micro-Pirate says, "Get ye up ya lazies! There's a wind a blowin' no good and ye have ta gets ye to Valpraiso! " So, we cruised on out of Malcom heading North and then there was a brief respite out of the wind to the East. The hills were beastly and the wind was picking up steam. The hill climbs were actually better than the down hills. At least you were sheltered from the blasting Northwest wind. I don't know what it was, but in here I was getting the worst of the wind. I don't think it was my imagination either, but again, I was getting tired and nodding off more as the miles wore on. There was the Branched Oak Farm oasis stop which allowed me to regroup a bit, but I was definitely suffering like a dog about this time. It wasn't fun at all through this stretch of Gravel Worlds. I wasn't very talkative, and I think Tony could see I was fading a bit. I resolved to see triple digits on my computer though, so after a bit, we slipped out and made our way to Valpraiso. I would regard my ride with more scrutiny then, but not until then. Dark times for me at the Branched Oak Farm oasis. Even the Black Beard Micro-Pirate didn't come out to hang with me! After peeling out of that farm I had the darkest time of all with regard to my day's riding. I was just slower. I was getting really hungry, and I even had to break schedule to eat a half an hour earlier than I should have just to stave off a bonk. I had water a plenty. In fact, I had to stop to take a nature break. Tony was faster than I and was long gone up the road. I was alone and maybe for good this time. I looked at my cue sheets a little closer. The better to distract my mind from my screaming legs and the incessant hills of doom. These dang hills! Then I saw it. A little mountain icon right on the cue line I was on course at. Dang it! No wonder I am suffering worse than ever now. This is a bad hilly section! No wonder I was working so darn hard. I was determined to go at a sustainable pace, and that was a bit slower than I had been going. I was okay, but I was going to need to see that convenience store in Valpraiso soon! I was coming up a very steep hill when I noticed a bunch of riders gathered off on the left side around a pick-up truck. Hmm.... Maybe more "course cruisers"? Tony and I had noted a few cars that seemed to be following along as we went, with certain riders seemingly "visiting" said vehicles at times. Ahem! Well, it isn't my race to run, so I'll just leave it at that, but after a bit I noted that this wasn't one of those deals. It was a "trail angel" and her kids with some cold drink dispensing for any and all. I decided to stop, then fought the impulse, and I was undecided. Then I saw a familiar blue frame and a figure coming into focus. Tony! He was waiting for me! Wow! Tony looked me straight in the eye and asked, "How ya feelin'?" I replied, "I feel fine, I'm just slow. I had to stop for a nature break...." Tony was relieved, and gave a hearty "Good! Good! Glad to hear that! ", in reply. I knew from that minute we were finishing this thing. There was no coke in the trail angel's truck, she'd just been wiped out by the previous horde. I grabbed some beef jerky and left with Tony. Suddenly the hills were less, the wind was dying, and we were rolling up into triple digits on the Gravel Worlds course. Valpraiso was just up the road and the headwind section had been conquered. Now to finish this thing off. No matter how long it took, it was going to happen now. The Black Beard Micro-Pirate said, "Drink ye deep, me hearties! The home stretch be all that's left and then to Paradise!" Next: It Ain't Over Till It's Over. The alarm sounds and Tony springs into action. I follow along somewhat less rapidly. Tony is a fireman by trade and he showed it by being ready for action. We got ourselves kitted up and then we were downstairs for the complimentary rider breakfast buffet. A spinach and bacon omelet, some fried potatoes, and a bit more bacon, (of course), was the fare for my morning. Then it was time to load up the bikes and get over to the Fallbrook area where the start was to be held again, just like it was last year. The start in the dark concept was something we did for Trans Iowa years ago. 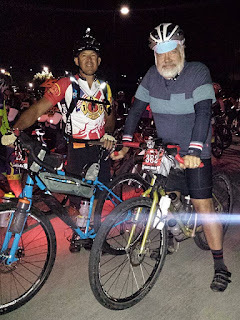 I usually am running the event, not riding in it, when all the start line blinky lights are blazing, so these Gravel Worlds starts are an opportunity to see what it is like from "the other side of the fence", as it were. One thing remained the same as when I am running the event, I was not wasting any time getting there. Tony and I arrived so early to the parking lots we beat most of the volunteers to the area. We had time on our hands for sure. The flag on the local YMCA was standing straight out and it was a bit chilly, almost Fall-like. We marveled at the air temperature, having been used to sweat inducing humidity for the better part of the last three months. The wind? Tony and I had ridden in so much wind this year, we weren't all that concerned with that part of the weather. Tony and I have some time to reflect before we line up to do battle with 145 miles of Nebraskan gravel. We sheltered out of the wind by some retail buildings just across from where we would be starting. The same blue Ford F-150, it looked to be a late 70's or early 80's vintage truck, which we started behind last year, was waiting in the dark. It wasn't long before we heard a voice over the loudspeaker that it was time to assemble for the "rider meeting". As riders slowly filed in behind the pick-up truck, we were seeing many faces both new and familiar. Kevin Fox, who was volunteering this year, stepped up to Tony and I to encourage us and take a start line image for us. He had given me his phone number the night before, just in case I needed to.......well, you know. Kevin said in no uncertain terms I wasn't to consider using his number, but I had it. All in good fun, but there was an element of seriousness there that we both understood to mean that I was going to finish. I remember one time a couple of guys at Trans Iowa gave me a ribbing about my "Words of Fatherly Advice" before the start of Trans Iowas. They said I sounded like a parent sending their kids off to school. When Craig Schmidt got the mic and spoke to us at the start of this Gravel Worlds I got that vibe. It's a race director thing, I suppose, and maybe it is cliche', but we really do care about the riders. So much so it ties our guts up in knots and makes us fret about ten years worth in the period of a few days. Yeah....I felt for Craig. He was seen wandering around in the start area, a look of concern overshadowing his countenance. But like he said, it was all out of his hands by that point and on us riders to do the right thing. Anyway, the truck rumbled to life and pulled away. We were off. I overheard one rider say, "What? No cannon, no horns?" Yeah..... This is Gravel Worlds, but it still has that unpretentious, down to earth feel that the Pirate Cycling League has been known for all these years. This ain't no roadie circus, that's for sure! The start was like any other for me. A pavement roll out, lots of people passing me, and some nervous jockeying for positions. I saw a weird image. A light so low that at first I thought someone was down, but it was a LED headlight that had fallen off. It was lying in the middle of the street and pointing up the road. A silent beacon showing us the way out of town. Gravel was finally contacted by tires and when they did, the easy rolling feel of pavement was soon forgotten. Riders were diving, juking, and searching for the best lines in the dark to avoid the mushiest parts of the road. I could feel it. It was as if I was dragging a cinder block in some places compared to the pavement. I thought that this might be a really tough day if these roads do not improve. But that thought was fleeting. I had a bike to power up hills and keep from washing out from underneath me. Riders went by or I passed a few, but the dark hour was marked by little else than my keeping a solid pace and not burning too many matches this early in the day. On our way to meet the Crack of Dawn. Slowly things start to come into clearer view. The ride had started and Tony had jetted up the road on me, which I was okay with. I was prepared, (I thought), to go the distance no matter who was along for the ride. Typically you end up in a rotating group of riders and you have time to chat with most of them along the way. Right now though it was just riding along, after the few "hellos" I got just after we started from faster folks like Steve Fuller, Josh Lederman, Jim Cummings, and a few others that shouted out as the sped by me. The course headed North, into the wind, at first for about five miles or so, and I didn't think the wind was all that awful, but combined with the soft roads, it was a chore. Then we got a reprieve from the wind, at least while we headed East several miles, and watched the Sun rise. It was spectacular and the day looked to be a wonderful one despite the wind. I ran across Corey Godfrey, one of the "Pirates" of the "League", and to whom we sang a hearty "Happy Birthday" to just before we rolled out. He was riding with Matt Wills, another of the Pirates, and we had a nice chat before our paces separated us again. Meanwhile, the route took us to a little town called Greenwood, and then a long slog South where there was a Casey's convenience store at a little town called Eagle. I had run across Tony here, as he was stopped, and I stopped as well to top off on fluids. We were 32 miles into the route, and I hadn't even looked at my cue sheets yet! The Sun rose to reveal the mushy gravel and mud we were fighting against in the early morning hours. The stop at the Casey's was where I noticed riders I would be around the rest of the day. In five miles I had to pull in to the first checkpoint at Schmidty's Farm. I planned on a quick in and out, but there was an animated, life sized pirate there that I decided to get my photograph with. Why not? If I couldn't have fun, it wasn't worth the agony. I also picked up a little "mojo" in the form of the "Black Beard Micro-Pirate", which you'll see later on in the report. Wait! Is this Davey Jone's Locker? 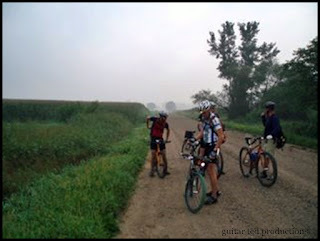 Image taken by a kind woman at the Schmidty Farm checkpoint. With that little distraction out of the way, the roads went further South, through Bennet, and then zig-zagged their way on down to and over Eastward to lead us into Roca. Ahh......Roca!! It's where I had to bail out of last year's Gravel Worlds. I saw Pell Duval there, and he made mention of that day last year at this bar. I was reminded that I couldn't even speak, I was so gassed and burnt up by the heat and humidity. Pell said about my inability to speak then, "Well, that was fine with us, since we probably didn't want to hear what you would have said." Yep. He was right about that. I would have spewed some negativity, most likely, and they didn't need that last year. We got more water here, and I ate some of my food I packed along. I will get all into that later, what the nutrition plan was, but at this point, I popped out my "flattened bananas" and shared a bit with Tony and Martin. Meanwhile, country music spilled out from some unseen speakers while we sauntered around the outdoor seating area of the bar. Country music? Well, I should say "Real, Authentic Country Music". Stuff by Johnny Cash, Waylon Jennings, and older Willie Nelson stuff. Not this cotton candy country music that they play today. Bah! Well......anyway...... Roca was as far as we were going South. Now it was time to start into the hard part of Gravel Worlds. The long slog North into that head wind. Black Beard Micro-Pirate says, "Eat yer stinky banana and get ye headed Northwards to Malcom and points beyond! Arrgh! I tried a single speed, and in August, with all the heat, humidity, and hills, I got fried and after a 100 miles or so, I was toast. 2010 found the event turning into "Gravel Worlds". I went back with another single speed, and the scene repeated itself. The following year I tried my Gen I Fargo, but I was thwarted once again. The heat, humidity, and hills. A deadly combination to me. So, I didn't go back again for many years. Then last year I tried it again. I took the Raleigh Tamland and once again, the heat, hills, and humidity got me, just as in the years before. This year came around and, oh......what the heck. I signed on for another try. So, why would I do that? After several failures in conditions that are not conducive to my doing well, why would I sign up again? I'll tell you the main reason why- the family reunion. Family reunion? Yes. The people that show up to this deal and the people that put it on are all very special folks to me. So, I only get to see many of them once a year, and that is why I go to Lincoln, even if the odds are tilted against me for finishing this event. There was good news though. 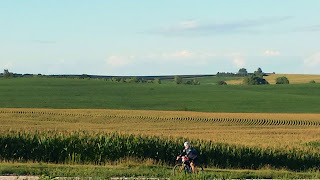 This year the cold front coming from Canada was to arrive Friday, the day before Gravel Worlds. Despite forecasts of gusting winds, this meant that the temperatures would be far lower, and the humidity would be far lower than any other year I've ridden down there. The hills? Well, they were still there. Just as they ever have been. Not a whole lot you can do about that part. Tony picked me up Friday and the trip down was fairly uneventful. We checked in to our room, and then it began to rain. We went on down to Cycle Works for the sign in and met all these great folks, and some new ones, that make this event so special to me. We actually stayed so long the staff at Cycle Works began shutting off the lights to get us to move along. It was such a great gathering of riders and folk I know that I miss the rest of the year, I didn't want any of it to stop. But, like all good things, eventually they come to an end. Afterward, we left with MG in tow to a Mexican restaurant for a belly full of great food and then we took MG back to his place. We headed back to the motel and settled in for a (hopefully) good night of sleep and a 4:00am wake up call. Tony and I were in good spirits and we had a good feeling about the next day. In fact, I had been so upbeat and positive about my fortunes I was almost shocked at my own behavior. I was not worried in the least about the wind, or what the roads might be like due to Friday's heavy rains. I was not worried about my nutrition, or my bike, or anything else. I was as cool as a cucumber. Weird. This wasn't how I was normally acting before an event, but this time wasn't normal. However; the night had been awesome no matter what happened the next day. This header died ten years ago this week. Ten years ago on the blog here I woke up one day and stumbled down the hardwood steps like I have a million times since I've lived here and sat down in front of the PC. When I fired it up, I was stunned. There was a new look to the Guitar Ted Productions blog! If you remember that header, you've been reading this blog a long, long time, and you re one of very few people who have been reading that long! Stat counters were a thing for bloggers back in the day, and some even displayed how many folks had visited each day on a little window counter in the right margin so you could see how popular a blog was, or was not, in many cases. Stats are still a thing, but most are hidden "behind the curtains" now on the blogger's "dashboard". I remember checking stats back in those days and getting real excited if I topped out at 300 views a day. 500 was a rare day here back then. Big time, mark with a gold star stuff. The new header ten years ago this week. So, if you remember this old header, I thank you for being one of those few folks that stopped by here back then. Oh! I suppose I should finish the story of just why it was I was surprised by the change in look here back then. That's all Jeff's fault. Just like I blame him for hooking me up on a blog in the first place. You see, back in the day, if you went behind the curtain on your blog and tinkered with the look of things, you had to know HTML code. I had zero idea what that even was back then, and I am only mildly familiar with it these days. However; Jeff Kerkove had gone to college for graphic design, and they taught him all that crazy stuff. So, being that he was the instigator of all things digital in my life, he had the "keys" to the kingdom when it came to the inner workings of my template. So, he mentioned something one day when he stopped by at work about maybe there should be a new look soon for this site. I thought it was an okay idea, but I never knew he'd just do it and pull the trigger. That header lasted until a year ago now when I finally decided to switch things up again. Thanks again, Jeff!! Today will be travel day to Gravel Worlds in Lincoln Nebraska. This is always a fun get together with people I have gotten to know through doing gravel events over the past decade plus. I enjoy getting back together with these people and getting to know new folks as well. The weather. Yeah..... It is always the talk going in to any of the big gravel gigs. 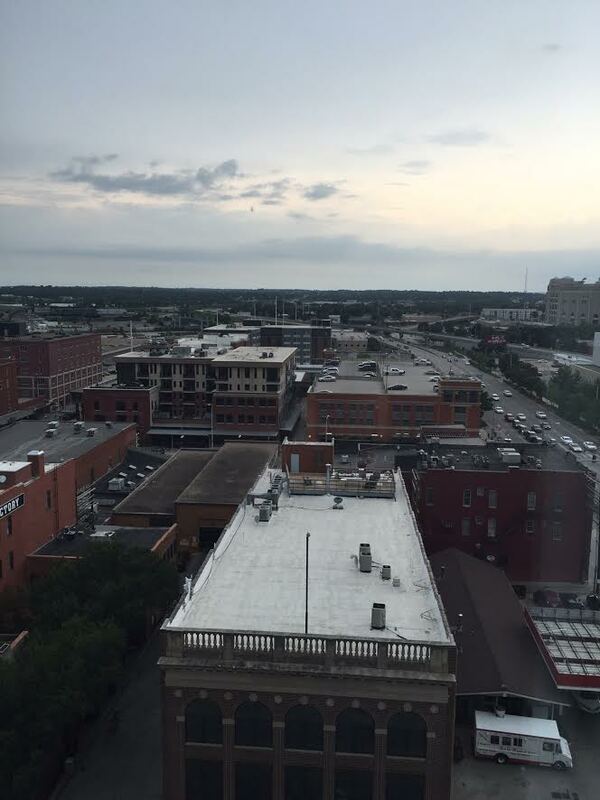 This time of the year in Nebraska is generally brutally hot and humid. Gosh.......I've been toasted so many times down there, it is amazing I have gone back again, but like I say, it's the people. Anyway... This year we're hitting the weather jackpot, in a manner of speaking. Sure, there will be a massive, long, hill ridden stretch in to a Northwest wind, but that temperature! A high of 72°?!! Are you kidding me? I've started at Gravel Worlds in warmer temps at 6:00am than that! So, yeah.. The pressure to finish this thing is on big time now. The weather will, for all intents and purposes, be perfect, for this time of year. I just have to keep fueled up, keep hydrated, and pedal, pedal, pedal..... I have a new strategy for fueling that should help with the gut issues, so I'll have a report on how that goes and everything else that goes down coming up Monday. I think the Geezer Ride will take in this road again. The second Geezer Ride of 2016 will take place again September 17th, 2016 out of Cedar Falls, I am thinking at this point. The Geezer Ride is already getting some attention from locals here and two guys I have spoken with about this are complete rookies to gravel riding. This is what I like about this ride, and it is the whole intention of it. To get new folks out in the country. But even more than this, I feel that the Geezer Ride is just a great way to enjoy cycling as it was meant to be. Casual, fun, and with a small element of challenges and adventure thrown in. Getting off the couch and moving. However slow that is, at least it is moving time. I always tell folks that we go as slow as the slowest rider, so this is definitely NOT a competition. Geezer Rides are also pretty easy, well......as easy as I can make them! 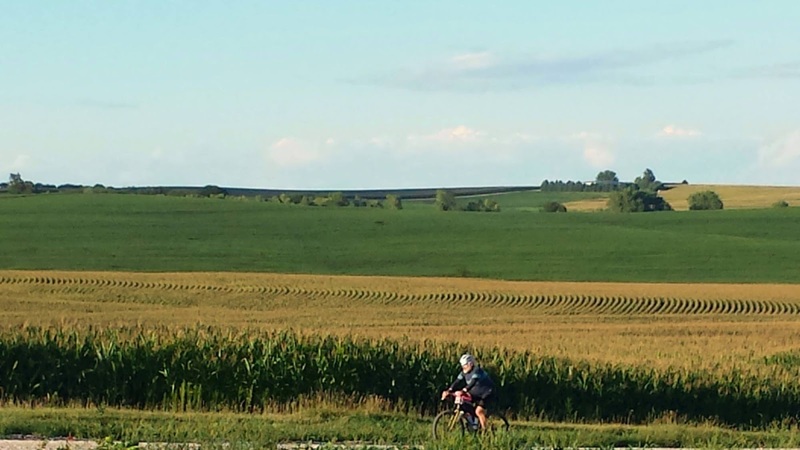 That said, the Waterloo/Cedar Falls area I use for the Geezer Ride is typically pretty flat. I know how I can string together a pretty pleasant route, and we'll do 40-ish miles and it may take 5-6 hours with stops, but it will be totally doable. I also typically throw in an after the ride meeting spot for beverages and story telling. So, if this all sounds like fun to you, stay tuned to the link above and I will be posting details after Gravel Worlds when I have a chance to start riding my proposed course. If you haven't heard, I am part of a podcast. That's tech-speak for a downloadable audio track and in this specific case, you get to listen to myself and my partner, Ben Welnak, gab about all sorts of crazy stuff. Sometimes we have guests too, which is always fun. Anyway, check out the latest one here. It's Episode 16, and Ben and I go on about the ills of the cycling industry and more, including some love for Gravel Worlds. Since I'll be at Gravel Worlds, I will have some Riding Gravel stickers along They look like the logo shown right here on this post. If you see me and want one or three, say hello and just ask me for some. I'd be glad to share the sticker booty. Arrgh! Plus, I'll be scoping out the scene down there and I may pop up a Periscope broadcast or take some pics of cool people. Maybe even get an interview, who knows. Stay tuned for anything worth sharing which I will try to disseminate via Facebook on the Riding Gravel page or on Twitter. Okay, so that's a wrap on today's post. Have a great weekend! Stay safe and get out and ride!